Oh man. I didn’t realize how badly neon pink has been missing from my collection till now. 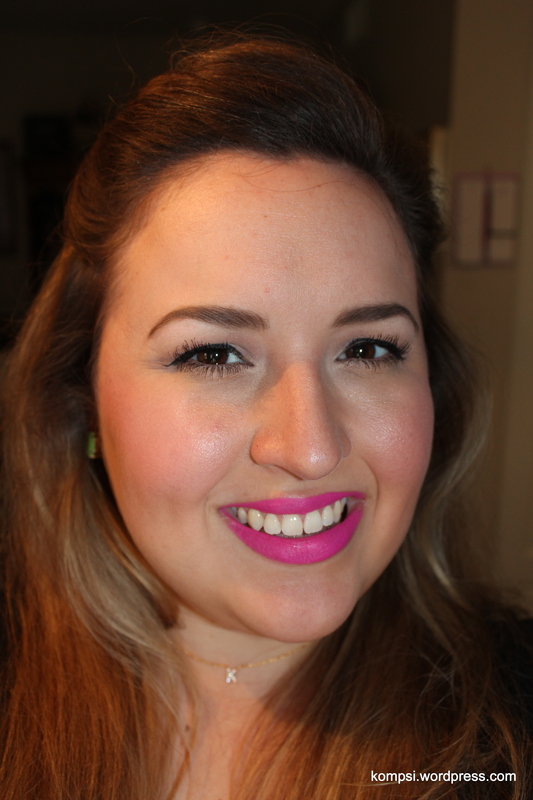 MAC’s Candy Yum Yum lipstick is an in-your-face matte neon pink. 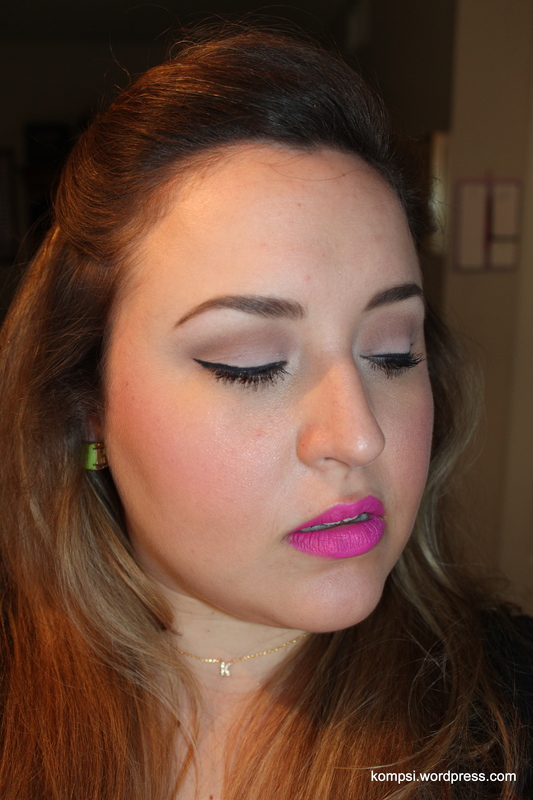 It is crazy bright and one of MAC’s most popular shades. It is so popular that even Kelly Osbourne had her own take on it in her collab with MAC called Kelly Yum Yum. In the new Pencilled In collection, MAC has taken some of their best-selling lipsticks and FINALLY created matching lip liners and glosses. 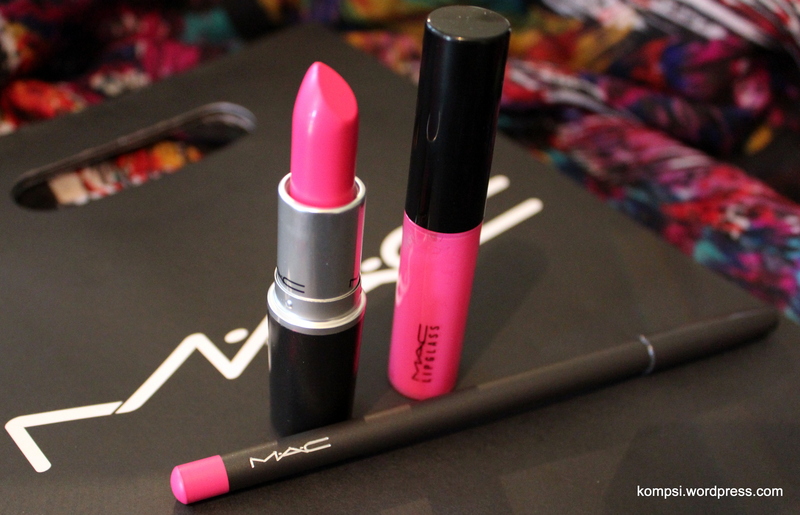 MAC Candy Yum Yum lipstick, lip glass and lip liner. I have a number of pink lipsticks in my collection, but not a blue-based hot pink like this. This lipstick is a matte finish which I really think makes it look brighter. The lipglass is of moderate opacity and I think it would look great over just the lip liner for a high shine look. From L to R: Lipstick, lipglass and lip liner. For an overall look, I decided to go with sheer foundation and concealer and a simple, matte eye with a bit of a wing so the lipstick would really stand out. Clean and simple. Except for the lips. Wearing only the liner and lipstick here. OH MAN I LOVE THIS COLOR SO MUCH. 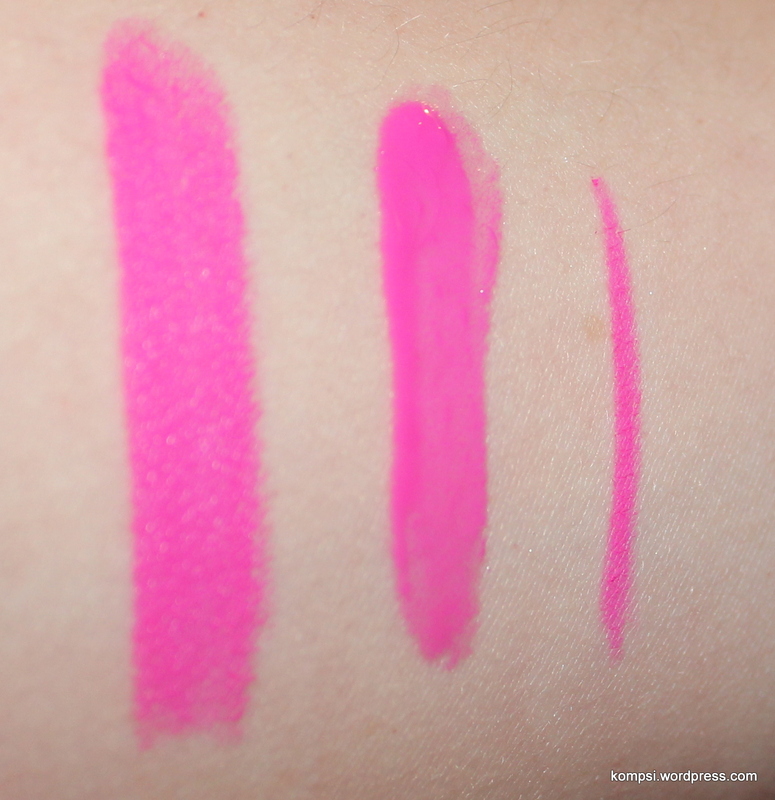 Candy Yum Yum lip liner, lipstick and lipglass. I like MAC’s lipglass formula because it’s not super sticky and it stays in place even over lipstick. MAC’s Pencilled In collection is available now online and in MAC stores and counters. This is not a sponsored post! I bought all of this with my own money because I ❤ it so much. And Candy Yum Yum takes pretty pictures. You look stunning, but I´d be horribly afraid of this color. How did you muster up the courage to wear it? Btw, Karen and Tabs say hi! I love Karen and Tabs! She’s by far my favorite blogger, I get a lot of inspiration from her 💜 As far as wearing bright makeup, I just do it and own it. Because honestly, nobody is really going to notice haha. But the best way to start is to ease yourself into it using a bright lipgloss, as they tend to be sheerer. Then you can work yourself up to a full coverage lipstick. You should try it! Just wanted to say Hi, discovered you through Karen from MBB. I have Kelly Yum Yum and it’s one of my favorite lispticks. I kinda need this gloss! Hi! Thanks for checking out my blog! I 💜 Karen, she’s the best! And you should totally get the gloss, it’s great! She is my favorite too! Hi, another person from MBB. I love her blog, and yours looks great. =] Daaang, that is bright! Looks great with you. I don’t think I could get by with such a bright pink, lol. Love the look of it + the gloss. Hi & welcome! Thank you so much! 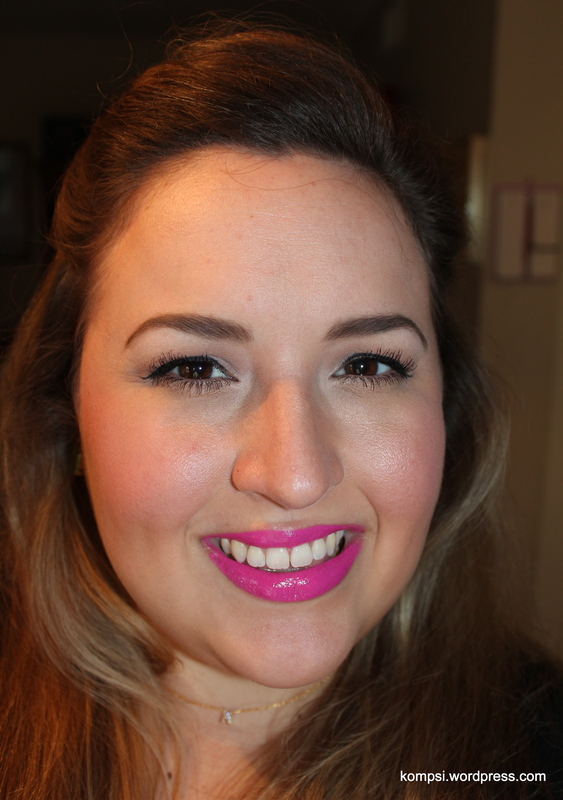 I haven’t photographed it for the blog yet, but the new Viva Glam Miley Cyrus is a little more wearable. It’s still a bright pink, but less neon and warmer, with the Amplified finish. I think it’s still available to purchase!